Hydrating Cream Mask offers a sense of security while sustainably protecting the skin against dryness from harsh weather. Formulation: Quince seed extract replenishes and helps dry skin to retain moisture while supporting the skin’s natural process of oil production. Nourishing almond, avocado and jojoba oils hydrate the outer layer of skin while rose wax soothes and protects. 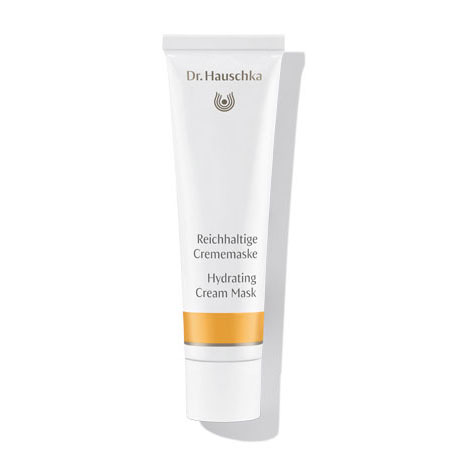 Hydrating Cream Mask imparts intensive skin care to dry and sensitive skin, as well as skin in need of regeneration and damaged by environmental influences. The skin is soft to the touch and looks fresh and smooth. For dry, sensitive and mature skin. Apply a generous amount of Hydrating Cream Mask to the face (include the eye area), neck and, if necessary, décolleté once or twice a week. Remove after 20 minutes with a warm, damp cloth. For optimum skin care results, we recommend deep cleansing with Facial Steam Bath and Clarifying Clay Mask prior to use. I love this mask. I've had skin flares due to stress and menopause this is so good at calming and hydrating my skin. I put it on twice a week and sleep with it on. Such a lovely product. I love this product it always make my skin feel so soft and hydrated afterwards. I would recommend it to anyone and it smells lovely as well. Which treatment mask should I use today? For intensive hydration, after morning cleansing and toning, mix a small amount with your day cream then apply as usual.